I feel like I have slept and slept,three long nights and an afternoon or two resulting in perhaps something like normalcy. 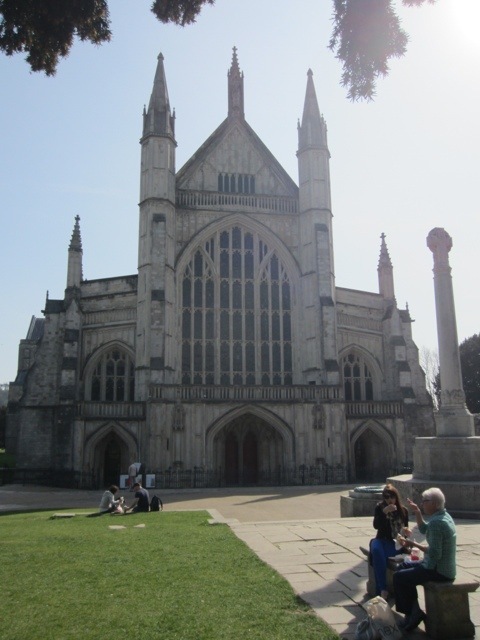 The beaming sister was waiting for me at the airport and we battled the traffic on London’s ring road for a while and then swooshed down the motorway to Winchester, no pot holes, no beeping, nothing coming at us on the wrong side, just went very fast, arriving in no time at all. She, the sister, had bought me a bottle of water for the ride, that seemed very familiar. Huge hugs when we walked in the door, not only affectionate, but I feel given with relief, I had made it intact and whole. Cheeses then and big Carr’s Water biscuits, opened cards and gifts from near and far, how much effort had gone into making sure they were there and waiting for me. A wine or two and slept soundly all night. The first day in the UK was something like the first day in any of the other countries I visited, top of the list was to get the technology working, so into town to the cell phone shop. At least the gentlemen behind the counter knew what I wanted, no hand gestures required, no waiting around for someone who spoke a spattering of English and of course, unlike India, no passport photo needed or forms to submit in triplicate. That said, it did take a while, but now I am the proud owner of yet another SIM card and my phone works, I have a UK phone number and I feel less reliant on family members. I slipped away and took photos of famous landmarks, bought a newspaper, it all felt oddly familiar. Day two, after the adrenaline had worn off, was a little harder. I found myself wandering off in my mind, back a week or more, to Udaipur, where I was exactly a week ago, on my way to Pushkar, which I didn’t miss at all, though the memory of getting totally lost in the dark on my way back to the hotel made me smile. Cleaning my teeth using tap water, what a treat, washing my hands every time I passed a sink out of habit, checking my pockets to make sure I hadn’t lost anything, going to the pub for lunch and listening, watching, wondering, do these good people have any idea what life is like at the two hundred kilometer marker outside Jaisalmer. Internalized it all though, don’t want to appear to be unhinged, do I . Everything is so much easier, see it, eat it, drink it, read it, there is no need to worry, it’s safe. Worry that I am being unsociable after so long on my own, I don’t say much. Try and look at some photos, but there are so many, and really, as always only about one in twenty five is worth lingering on, and anyway there isn’t time to tell the story. I need a computer for some serious editing. Requests have come in for me to share these thoughts, so here we go. Nat in Seattle suggested I go somewhere I have never been before to help the transition back, I just might do that. Picking up the niece from the train station and then tea with Great Aunt today, like I said, it’s all so easy. 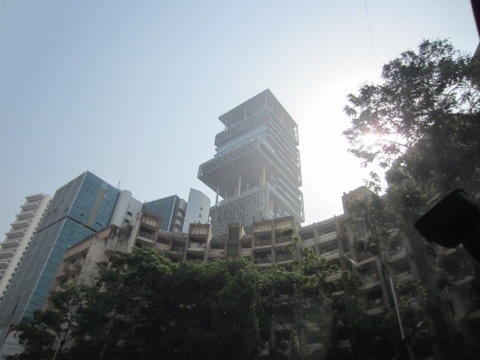 That tall building is the home of the one family and all those staff that I mentioned earlier. I took a hotel car to the Airport, a birthday treat to me, there were no tuk tuks, they are banned in Mumbai’s City center, and I really really wanted to go to Chowpeddy Beach, it is so famous as an example of Indian Democracy, Moms, Dads, children, the high borne with their servants, the homeless and beggars, all seem to hang out together. I didn’t get hassled once. Of course it was just a slight disappointment, tho large and sandy, quite crowded at nine thirty in the morning, warm and sunny, it was disgusting. The hi/lo tide marks were rank with garbage, plastic bags and bottles, old rags, dead things, just the usual stuff, but I did revel at being there, just to be there, on my way home. My driver spoke six languages, he commutes two hours each way to work and back, his work day is seven am to seven pm, that does not leave much time for eating, sleeping or a family life do it. He pointed out a building I had read about at home, some twenty stories(? 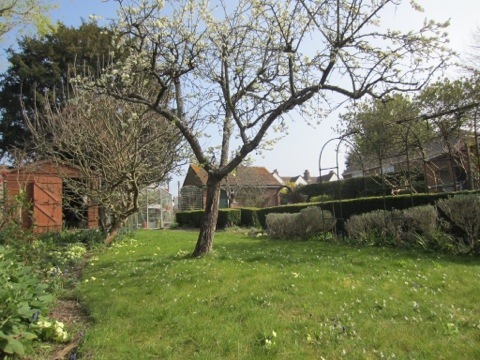 ), very tall anyway, it is occupied by just one family, Mr and Mrs, their two children and his Mother in Law, it has six hundred staff, yes 600, the parking garage holds three hundred cars, his monthly electric bill is 50,000 US Dollars. You read about these things but seeing it, right there, was, well, I think I might be permitted a “holy crap”. Oh, and almost opposite was a huge billboard extolling the virtues of British Culture featuring a picture of the British Museum and the flag. He pointed out a park, reserved exclusively for the elderly, how civilized. He showed me the Malabar Hills District, out on a Point, where the price of land exceeds that of Manhattan. Manhattan! He proudly stopped outside the main train station, the law courts and the university announcing that they were all built by the British, back in the day, and impressive they are, to this day. Think St Pancras, if you can, if not, hmm, ah, the Fairmont, Palace of Fine Arts, well kinda. We cruised out of town on a freeway, three lanes in each direction, built on stilts out on the Arabian Sea, avoiding the chaos, five kilometers long, supported by suspension bridges, what a feat. An aside as we fly , done the LHR to SFO and back flight so often now it lacks, just lacks, never anything new, except those glaciers in Greenland, but now, Almety, Tashkent, Urumqui, Samarkand, Bukhara, Ulan Bator, appear on the in flight map, the old Silk Road, Marco Polo. Another trip forms in the mind ? Mumbai Airport is well past it’s sell by date, the International Terminal, blackened with age and weather, is really quite nasty. As Nat and Erin will attest however the new Airport is going to be tremendous. (They Skyped as I arrived so saw the tour). Huge new roads and flyovers, vast futuristic new Terminals, the most enormous new control tower, new runways being scooped out, chaos of course, but give it a couple of years and go check it out. Endured the usual airport indignities, Immigration, Customs, Security, bla bla, had a wee bite, enjoyed my BA Birthday cake (haha) and that was it. Boarded and took off. Slept most of the way, there was nothing to see out of the window, thick cloud cover, the last thing I remember was approaching the Caspian Sea and woke up over Berlin. Goodness, forty five minutes to go. The brain is somewhat addled with flying so won’t get all profound right now, let’s give it a couple of days to reflect, though I am quite looking forward to a blog or few from the UK. It may interest more far flung readers, hi Debbie in Sacramento, hi Ellen and Ben in Austin, plus many others, and maybe give the British followers a giggle. From thirty thousand feet over the North Sea this is a bye bye for now, though just think, I said the same thing over the Sea of Ohkosk, the South China Sea and the Indian Ocean so who knows what fresh adventures await. A first thrill, we are coming in straight up the Thames Estuary and so on up the river, that’s a new one. Two hours South of Jaipur and I guess this is what is known as rural India, not seen a road in ages yet the villages are still passing by. We crossed a huge plain with occasional low hills, sometimes topped by old falling down forts, not the ones in the guide books. 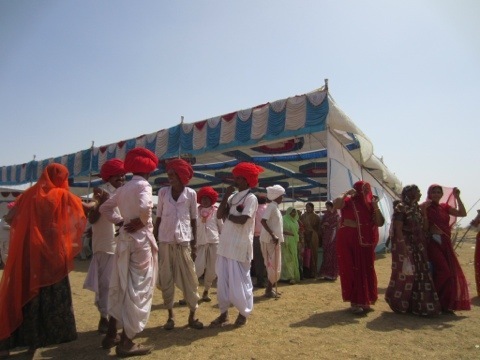 The ladies in their saris are bringing in the wheat harvest, by hand, sickles and things, where are the menfolk I ask. The conductor brings round tea and sandwiches, a late lunch. 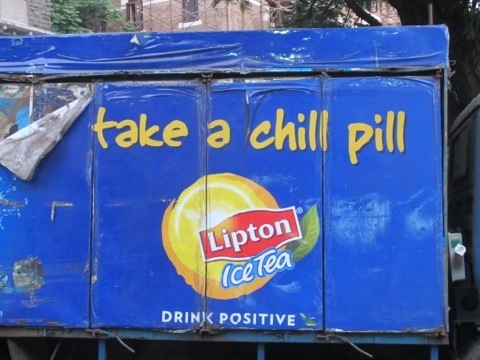 Incredibly sweet tea, rather dull sandwiches. There is so much of nothing to see out of the window. Mile upon mile of wheat, stretching into the far distance, what a bread basket this is, and think what a combine harvester could achieve. All too soon it got dark and there was nothing more to see. My companions, a couple from Mumbai, shared their dinner, how nice, they seemed very proud of their daughter in law’s cooking and immediately phoned her to tell how much the westerner enjoyed her home cooking, it was very good in a simple and basic fashion. Then the train dinner came round, oh dear, not very appetizing. I had a few hours sleep, constantly aware of the speed we were going, very very fast. This is the Jaipur to Mumbai Super Express and it doesn’t stop too often. The horn blares constantly, the sound of the rails changes as we cross bridges and viaducts, I am aware of all this while sleeping but most of all it’s the speed. Being thrown about on my bunk, practically hanging on. 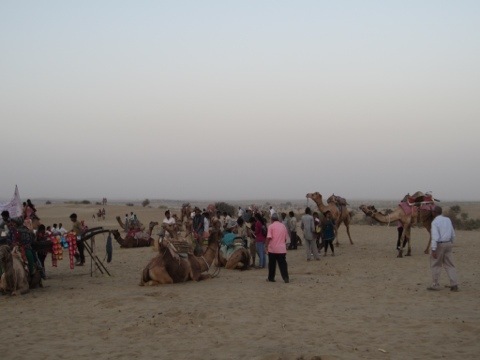 The last bit of the journey was down from the Rann of Kutch (always wanted to say that) along the coast, marshes and salt flats, stagnant pools and oozing rivers, not very pleasant. Now in Mumbai, confusing, I know, half the people seem to refer to it as that and the other half say Bombay, I personally prefer the latter, I sounds more historical. Into the station and out onto the street where the taxi touts are legendary, they were. No exaggeration I must have had ten or so clamoring for my fare, fortunately I had spotted a sign to that old stand by, the Prepaid Taxi Booth. Shedding hustlers I paid my two dollars and twenty five cents (125 Rupees), and out we went, easy. Fabulous looking architecture to look at, will I have time for a wander. Hotel and checked in, mentioned birthday tomorrow and was given a top floor room with a sensational view of the Gateway to India and the harbor, as my Mom says “If you don’t ask you won’t get”. So now by pool recovering from the eighteen hour train ride and four hours of sleep. That’s it then, some two months on the road. I have not reached any profound conclusions about my sojourn, maybe it will all swim into focus at wheels up tomorrow on BA 198 to London’s Heathrow Airport and then I can spend the flight having some sort of regurgitation. I can tell you this right now though, nothing, no amount of planning, no amount of book reading, movie or documentary watching or going to classes can ever ever prepare one for India, it’s simply too big and varied. I remember I remember when I first moved from London to San Francisco all those years ago it probably took five years before I felt comfortable and not like a tourist. I could order breakfast like a local, take the bus, ride the subway, make change, drive a car, take interest in local news etc etc, and that was just in San Francisco. Kerala, Goa, Rajisthan and Mumbai are as different as SF, NYC, Texas, Utah and Washington State. Maybe I should have just focused on one small piece of India and stuck to that for five weeks, but, would it have made any difference at all ? I am exhausted but exhilarated. 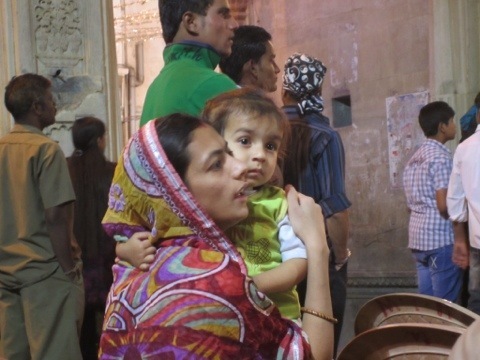 Last night in India, sad, but looking forward to seeing family and friends. 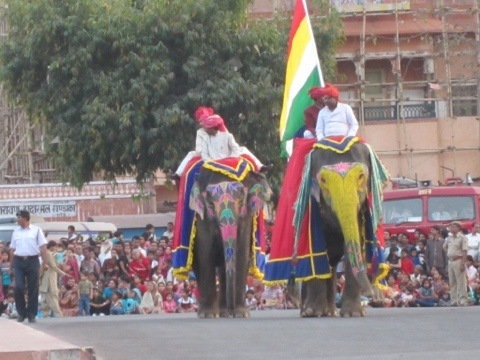 Another elephant in the parade in Jaipur. 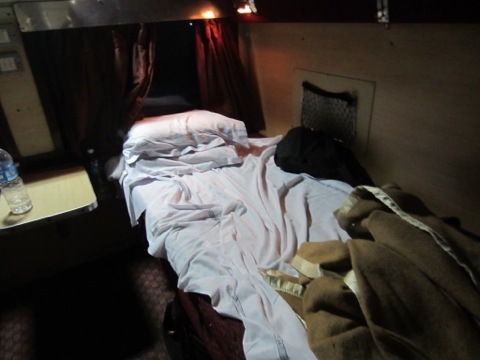 The bed on the train. 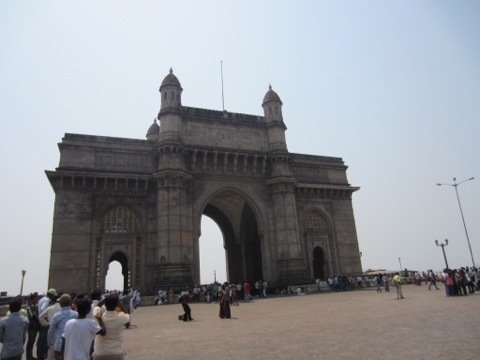 There it is, the Gateway to India. And lastly ! Saw this on the side of a truck today, it spoke to me. 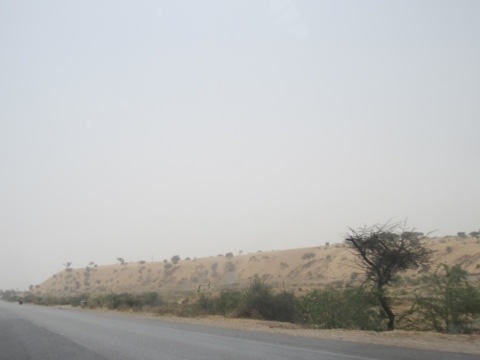 The last one hundred kilometers of what was a two thousand km drive round Rajasthan and we are bowling along a three lane highway, freeway/motorway. It may be part of the project to build a three lane highway right around India, I read a magazine article about it back in Ca. Speed things up it certainly may when it is finished, but there is something rather poignant about the ladies in their saris walking down the side of the Expressway with pots on their heads, progress progress. Its downright alarming to see them crossing six lanes of traffic to reach the other side, dodging heavy trucks, cars and motorbikes all the while balancing the precious water on their heads. A slight worry as the engine temperature soars, we stop, hood up, a large metal plate has split, hmm. Adjustments are made, hoses moved, clamps reclamped, the radiator fan spins, hooray, we have lost the a/c but who cares, there is only an hour to go. Back on the expressway anxiously watching the gauge, it’s high but we are still cruising along. I smile, remembering friend Anna who had a similar problem crossing the Sierras, she survived and so will we, though now have the heat on to take the heat out of the engine compartment. 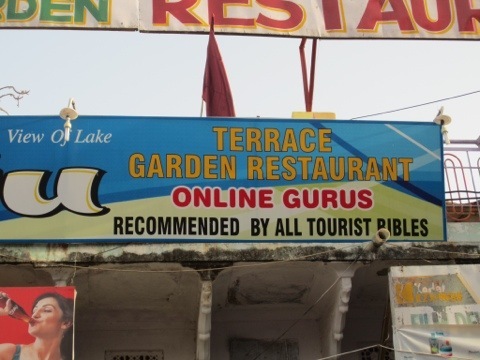 I found the night stop in Pushkar something of a challenge. 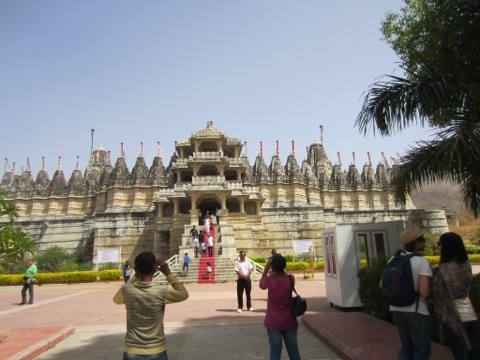 One of the four or five major pilgrimage sites of the Hindu religion that all must be visited, it was of course, crowded, but not only with practicing Hindus looking pleased with having actually arrived and could take to the waters of the Holy Lake, but also what I can only describe as a lunatic fringe of Westerners. One of the more ludicrous comments I heard was “you’re not really trying to fit in”,this from a tie dye clad, blond, dreadlocked Canadian (odd as the Canadians are always so nice), ya right dude, you are fitting right in. Come on Mr Tim, don’t get all cynical, live and let live. The amplified chanting from a Temple on the mountainside behind the hotel began at midnight and ceased at four thirty, it was very loud, even the noise canceling headphones couldn’t cope. I may be a little cranky today. Oh and the temperature gauge just hit the red zone, twenty kms to go. Of course we made it and all was well. 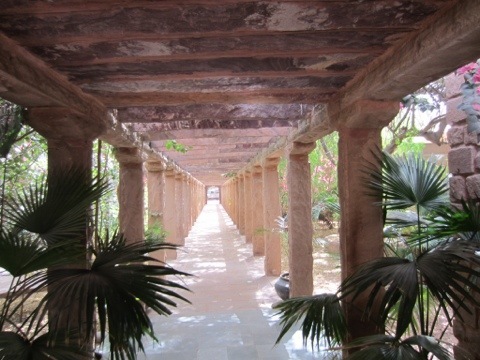 Back to the Bissau Haveli where I was greeted as the conquering hero, well, they made me a pot of tea by the pool ! Good humor returned and I set off to find a few gifts to take home. Bit of a problem, no cash, searched and searched for an ATM and noticed lots of police and army personnel, also barricades going up, interesting. Looked around and there were banners proclaiming The Gangaur Festival starting today at five thirty, it was four o’clock. Walked up and down, noted where the crowds were gathering, on roofs initially, figured out the route and staked my spot. I was joined by two Danes, wearily jet lagged and already mosquito plagued but cheerful enough, we were hard up against the barricade. More and more pushed in behind and tried to squeeze in front, uh oh, no dice buddy, fortunately the male Dane was quite large. Lots of police activity controlling the crowd, they carry big sticks, the roofs were cleared, more pushing, the lady Dane bailed, too hot, and still they did not close the streets, oh how I missed my bottle of water, this was just a quick shopping outing. Finally at six o’clock the streets were closed, what chaos resulted in the rest of the city I can only imagine. 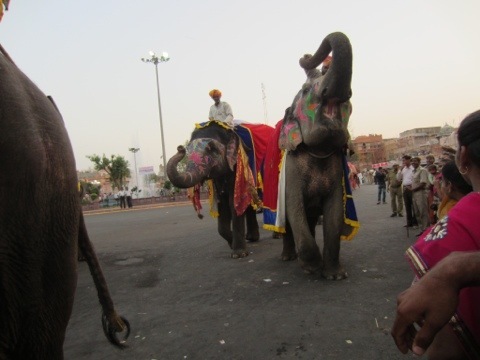 In the distance the remaining Dane and I noticed elephants and heard drums, mighty pounding, horns, flutes, cymbals, trombones, a bassoon maybe, all the fun of the fair. 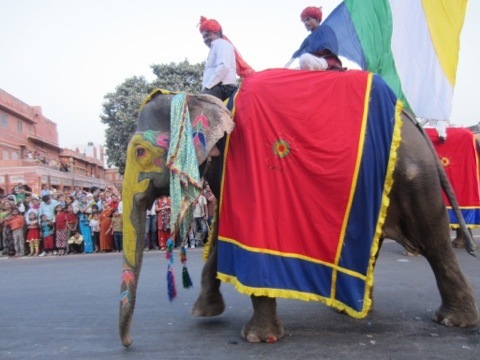 Magnificently the lead elephants came into sight, decorated, painted, very big, and then my camera battery died ! Whipped out the phone, took a few photos and a short video and then it announced it was full. Fortunately it was a quite short procession and I think I digitized the important bits, we shall see. THEN, it was getting out of there time, without wishing to sound alarmist I can quite see how a stampede can occur, it bordered on the just a little bit frightening. The way out was through a market stall area, at one point I sought refuge on a pile of onions, the chaos continued for quite some time as the crowd seethed this way and that and finally I was on a broad boulevard heading towards my city gate. The people were fun, leaning over to touch me, taking my picture, letting me take theirs, smiling, laughing, the scare factor quite gone. 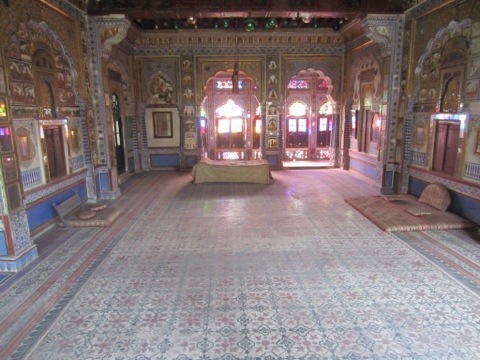 I was somewhat exhausted and happy to arrive back at the Haveli, more tea and here I am. 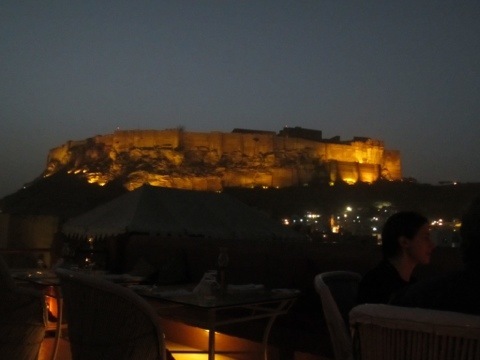 Great way to spend the last evening in Rajasthan, memorable even, couldn’t have been better, what great timing. The two fifteen pm express tomorrow to Bombay, afternoon and night, arriving Bombay at seven thirty Tuesday morning. Let’s hope the wifi works. 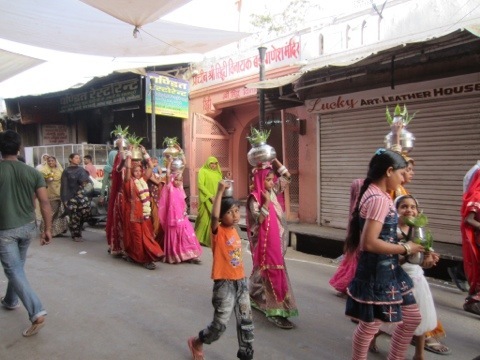 Children with pots, processing in Pushkar. 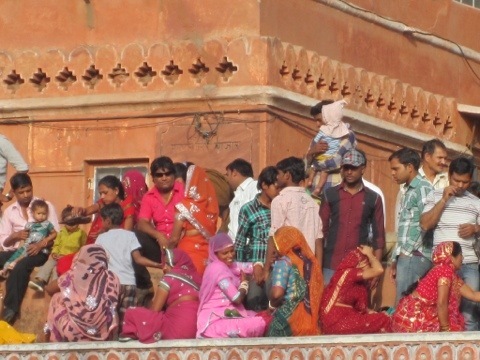 Crowds gather on the roofs. What I sight. Then the camera battery died. Sigh. A Great Indian Bustard pursued across the Thar Desert on a jeep safari. Across the dunes I strode, feeling intrepid, the Lawrence of Arabia theme in my mind. That didn’t last long. A cross between Times Square and Piccadilly Circus was not far away. 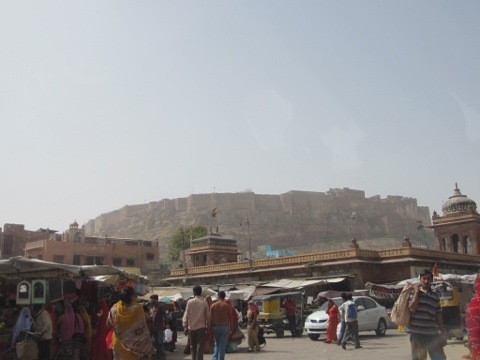 The road to Jodhpur the next day. 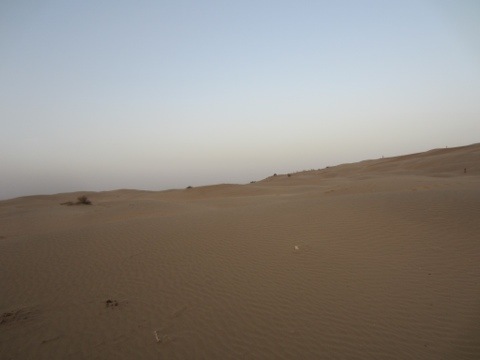 The Great Thar Desert was very desert like. 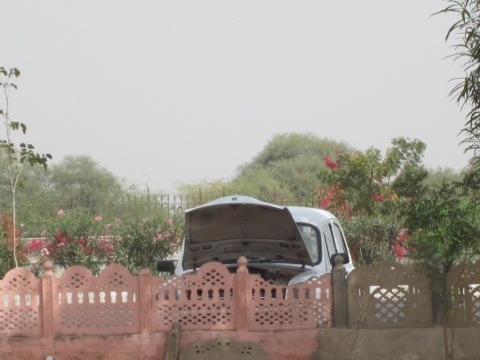 A stop at Manvar Desert Resort where a friend of Nat’s stayed. Looks pretty cool Nat, but getting there must be challenging. 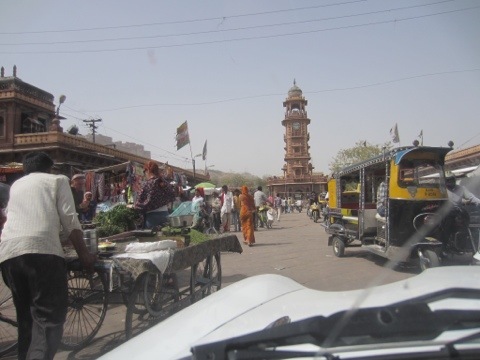 Arriving in Jodhpur, this is the clock Tower in the main market place. I felt a bit dwarfed by the size. 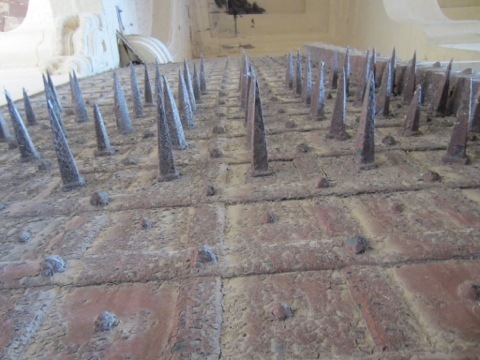 These spikes, set in the main doors of the gate, kept attacking elephants at bay. The Royal Bedroom and the Royal Bed. 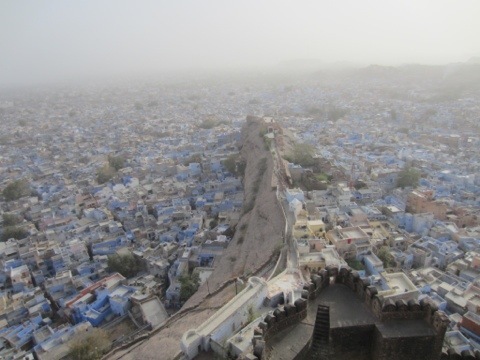 Jodhpur, the Blue City, apparently the blue paint contains some sort of bug repellant. Looks a little Greek don’t you think. 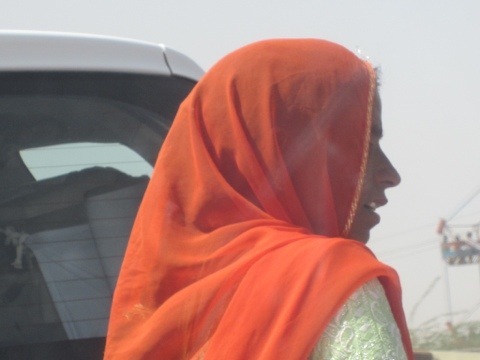 The guys in Rajasthan are not lagging when it comes to bright colors. I may have finally nailed one, at last ! 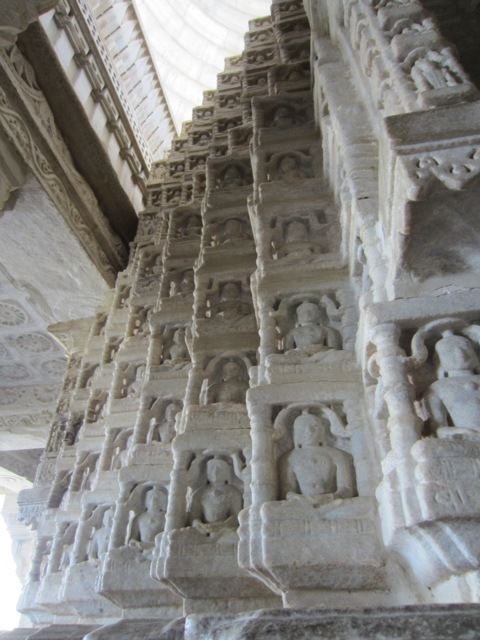 An immense Jain Temple in a valley of the Aravali Range. 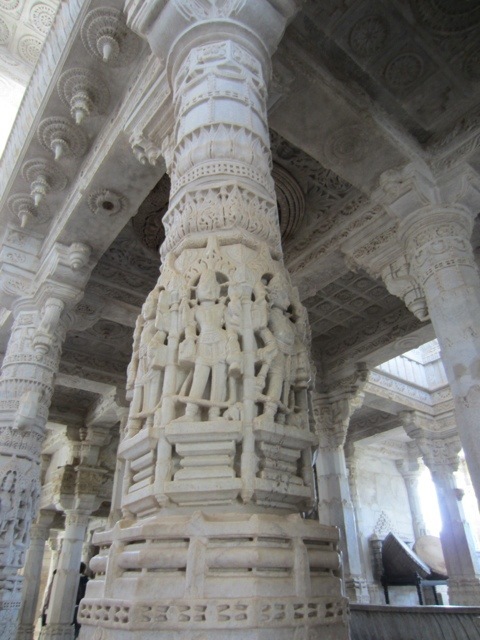 A detail of one of the 1,144 pillars within. No two are the same. 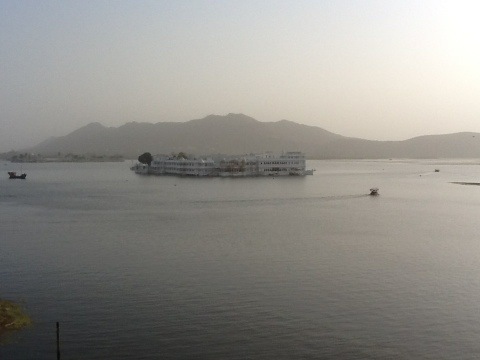 New Year’s Eve in Udaipur. I may be speechless, speechless in Udaipur, sitting on the roof of my Haveli looking at the lake and there in the middle is a fairy palace, you know, out of a fairy tale. It is the one in that Bond movie of decades ago. I am sitting here with my tea and don’t think I shall move until the sun goes down. I hear a trumpet sounding a familiar tune, it sounds like some sort of salute, I hear bagpipes, bagpipes ? There is the loudest, amplified music coming from somewhere. 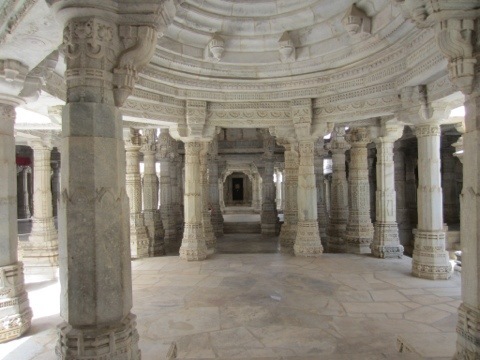 The sun is dipping down over the Aravali Range, quite beautiful, the shadows are lengthening, the swallows are swirling around chasing the mosquitos, ten seater tourist boats putter past with orange life belt clad passengers, a man plunges into the lake and washes while his wife cleans her teeth. A queue is forming below me at the dock, sunset cruises maybe, and, yes, there is a lady taking photos with her iPad. 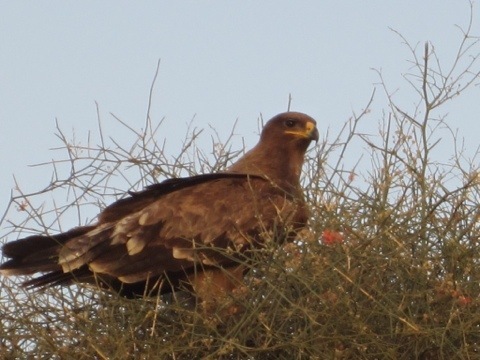 An inexplicable loud bang, that seems to happen a lot in these parts, and every bird in the city takes flight, pigeons mostly, but a few large unidentified ones. The tourist boats leave, tootle around in a circle, come back, and now we have that silly situation, them taking pictures of us on the bank and us taking pictures of them on the lake, though actually there is no one else on our rooftop. Night fell and I explored a bit, turns out the loud amplified music is the New Year’s celebration. Happy 2089 everybody. Jam packed on the lakeshore, mostly locals having a rip roaring time. A few Westerners, up front with massive lenses, I hung back and sat among a crowd of Moms and kids, when the compere asked for a round of applause for the attending foreigners I got a few friendly beams. The problem was of course that I had absolutely no idea what was going on due to a difference in the language so I didn’t stay too long and headed back to the hotel for dinner. Alas, no dinner at the hotel so went without and went to bed. Breakfast, scrambled eggs and toast accompanied by thwacking, again, memories of the Kerala backwaters as the day’s wash gets under way on the lakeshore, also chanting and many Bon jours et ca vas. 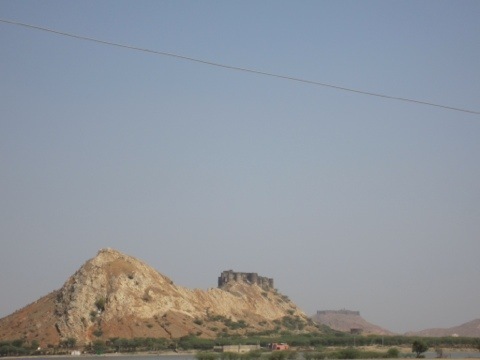 The Lake Palace looks bright and white in the morning light and the Aravalli hills behind are coming into focus topped by shining forts, white marble in the sunrise. A quick glance at the Guide and off to the Palaces, though will stop by the lobby and see if the wifi is working, yet. 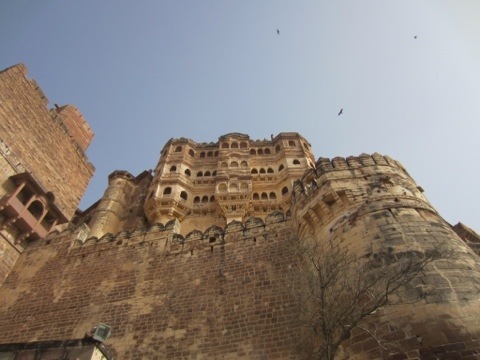 It’s amazing how far I fall behind after just one day, now two, without the wifi, how shall I find time to tell you about Jodhpur ? Maybe in photos, will try anyway. The view from the rooftop. 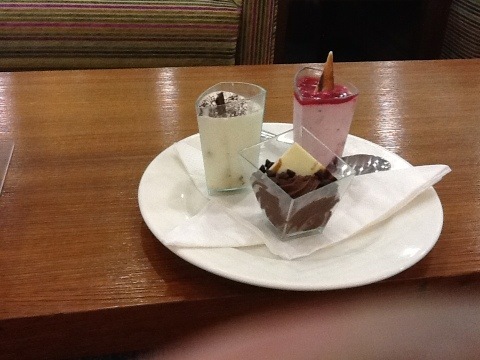 Wifi working but desperately slow, one photo upload takes over five minutes. It may improve!